As a daughter and granddaughter of Navy Veterans I have always been patriotic. I get a little sentimental around holidays that remind me of the sacrifice and hard work of our military. Memorial Day, Fourth of July and Veterans Day always get me thinking about how we can do more to help the troops. I came up with five practical ways my family can support the troops and our veterans. Troops overseas may not have as much access to newspapers and magazines as we do. 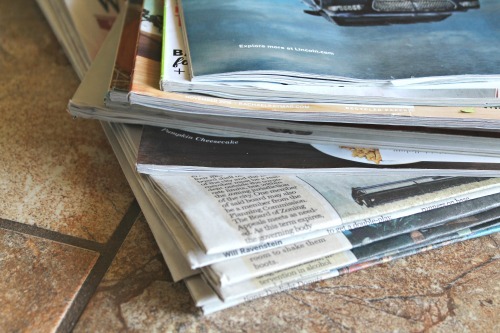 Even if these periodicals are a few weeks old, the soldiers will appreciate reading them. It is easy to ask your family members and friends to sit these items aside after they are done with them. You can mail them all in a box and send them to a whole unit to enjoy. It is not easy being away from home, friends and family. I have heard many stories from my dad about his service during the Vietnam War. He talked about the morale issues among the soldiers. Even the strongest people can face depression and despair during conflict situations when they are far from home. 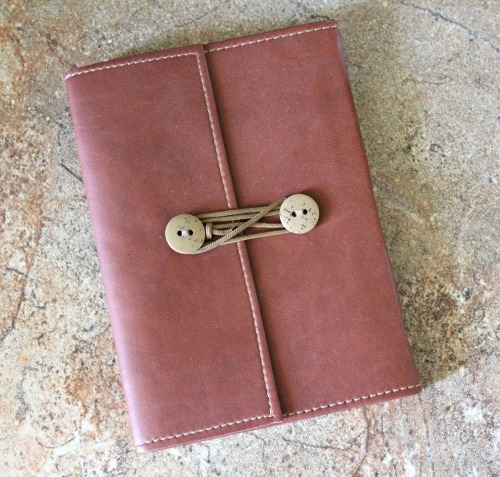 Sending a Gratitude Journal may make a real difference for that soldier. A gratitude journal can help the person focus on positive things happening in their life, no matter how small. This will be something they can reread when they are feeling down! Care packages are a very practical way to support the troops. Soldiers stationed around the world get lonely and homesick. They don't always have access to products and goodies they can get at home. Getting a care package shouts that you care about them and that you are supportive of their efforts and sacrifice. 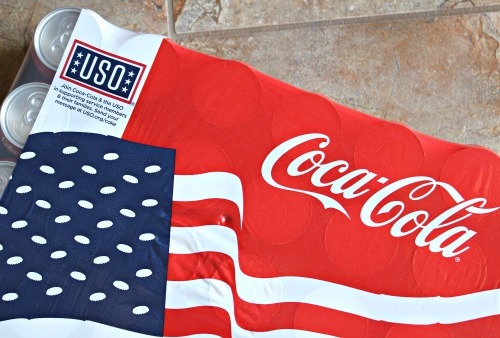 This summer Sam's Club is teaming up with Coca-Cola™ and the USO to donate USO packages overseas. Their goal is to donate 3000-5000 packages! 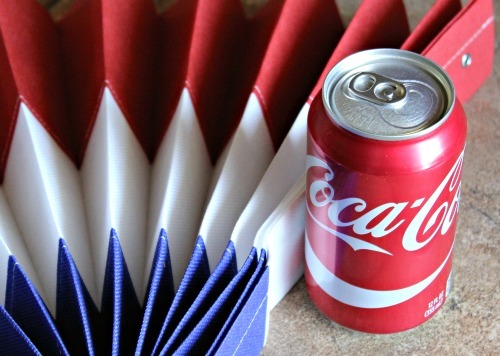 Coca-Cola even has some custom patriotic packaging to really get people excited about this campaign. 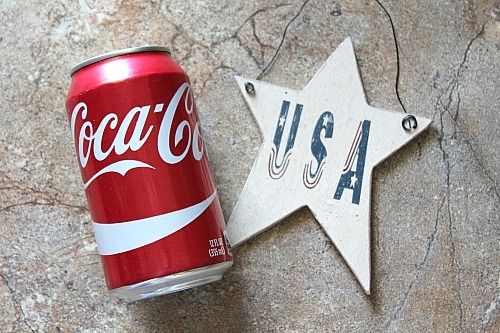 I picked up a package of the patriotic Coca-Cola while I was shopping at Sam's Club and it will be perfect for our big 4th of July party! It is great knowing that my purchase of Coca-Cola at Sam's Club will help provide care packages for soldiers overseas. If you don't want to put together your own care packages at home it is still EASY to have a part in sending care packages overseas. All you have to do is head over to USO Wishbook and donate money so the USO can send comfort food packages to the troops!!! How exciting for the soldiers to open a box of goodies from home. I love the USO mission of keeping our service members connected with their family, home and country!! The USO provides support during the soldiers entire military career. Many of our soldiers are leaving families behind while they serve overseas. This can sometimes be their biggest struggle and worry. It isn't hard to find a military family near you. If you don't know anyone personally just ask around because there are military families everywhere. Once you have a family to help it would be great to invite them over for dinner or make them a meal and drop it off. Check out these tips for taking meals to families in need for some great ideas. Be sure to ask the family if there are other ways you can help them while their soldier is deployed. This may not seem like an important way to help the troops, but it can be huge. Most people agree that not feeling appreciated really affects their life. In marriage, parenting and work we want to feel like our contributions are appreciated. Soldiers and their families are giving a LOT so that our country can be protected. It isn't hard to say thank you when you see a soldier out in public. If you run into a military family be sure to thank them personally for their family's sacrifice. Sometimes the simplest idea can have a big impact. How Does Your Family Support the Troops? Does your family do anything special to support our troops? I would love to hear your ideas. 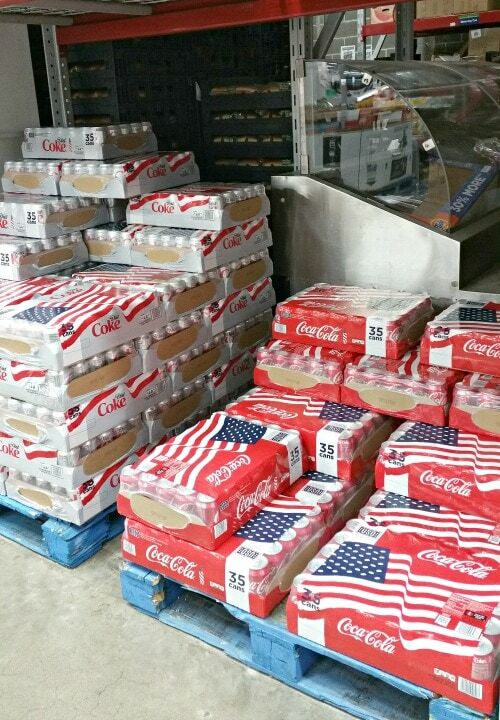 Don't forget to grab some patriotic Coca-Cola when you go to Sam's Club next. 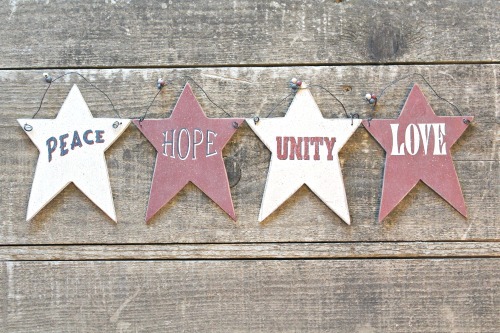 They will be perfect for your 4th of July celebration! I LOVE these ideas!! They’re so unique but great! <3 And I just love it when people and companies give back to those who give so much for our country!